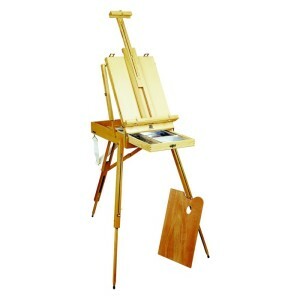 This Art Spectrum® easel is made of varnished pine wood with brass fittings. 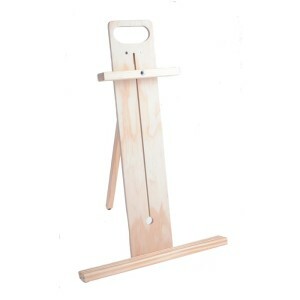 This handy little easel is perfect for safely transporting and storing wet or dry art works. Up to three canvas boards or one stretched canvas up to 50cm high can be carried. 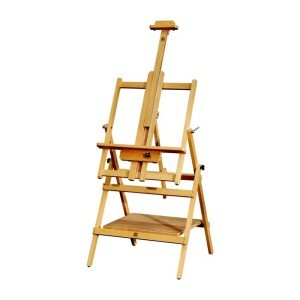 The Table Top Easel folds flat, but opens to a sturdy easel and can even be adapted to larger works than 50cm by sliding off the top holder piece. It travels “light and easy” with a hand hold at the top of the mast.